This is a story that begins several years ago, combining the elements of luck, good fortune and those all too rare moments when everything seems to fall into place. Enter Robert Bookstein and add Edwin Chavez, a former mechanic/jack of all trades just back from working on the new Hoover Dam cut-off project in Las Vegas. 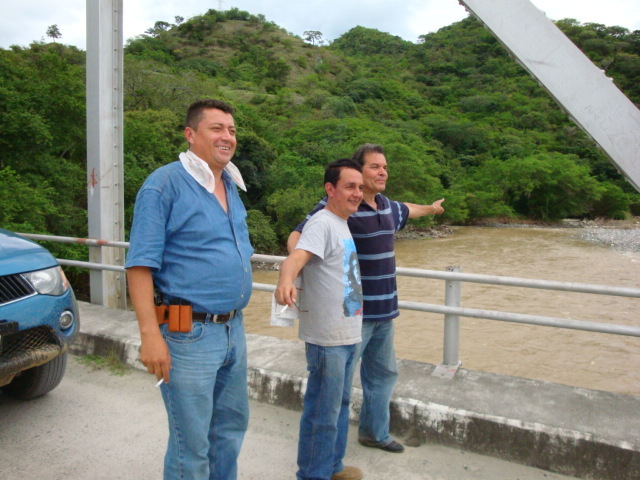 Throw in Jaime Urrutia, a local geologist with gold dredging experience whose father was also trained in that field. Gold! Where is it? 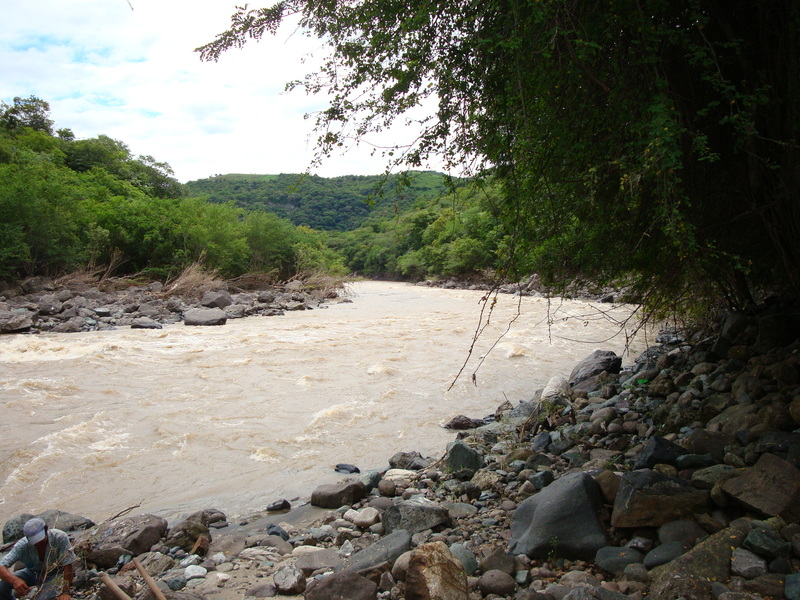 The Rio Motagua, north of Guatemala City, not far from the site of ancient Mayan jade mines, situated on the junction of two active tectonic plates. Initial exploration was undertaken when the river level was low. Some gold was found (a few flakes here and there) but, still, enough to suggest that with better equipment, observation of and attention to geological “clues”, and more effort that greater discoveries were possible. 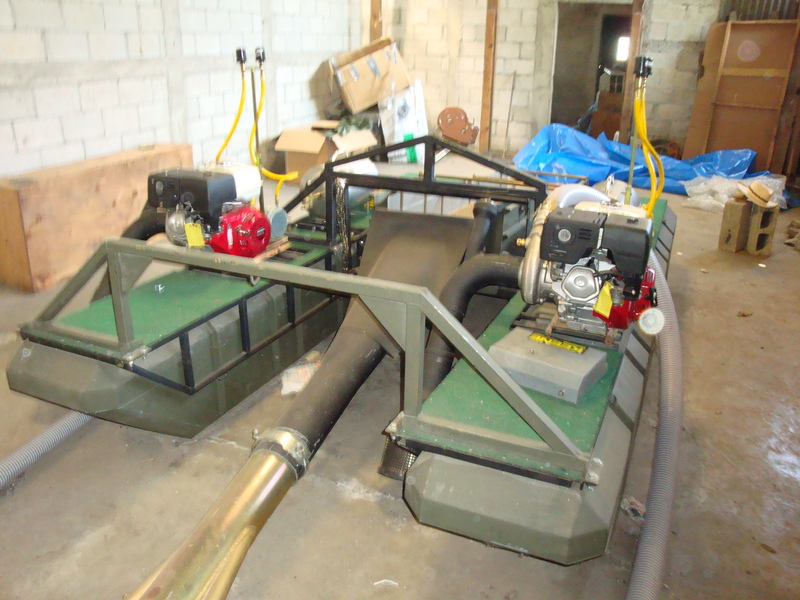 Exploration licenses were obtained and money spent: a new truck, a portable rocker table and a portable floating dredge. We soon returned to the River Motagua, five of us packed into the new Mitsubishi Crew Cab, with the ice chest well secured in the rear. It was two and a half hours of dodging chuck-holes, cows, trucks and the occasional bicyclist. The weather held up and it didn’t rain. Although the river had dropped about three feet in the last week it was still running strong and muddy and it became apparent that it would be another month or so before the water level would recede sufficiently to justify bringing in the suction dredge. Nonetheless, during our visit, one of the local residents near this section of the river brought in a few flakes that he’d gathered from his sluice/shaker box before the river took the box downstream. His efforts had produced the real thing. 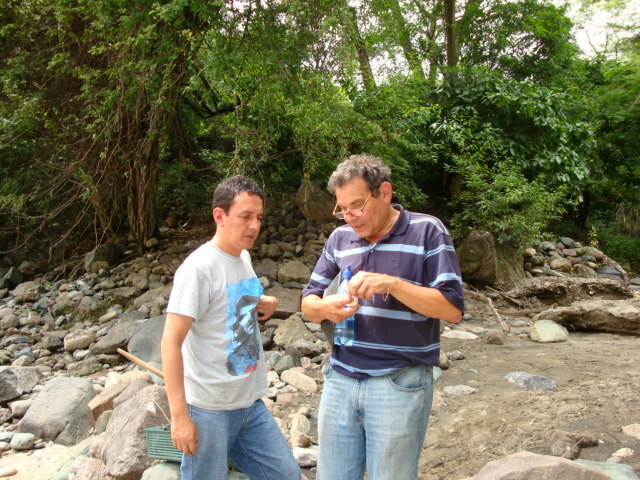 We listened to this local’s stories about previous finds in this section of the river, not that long ago. I am tempted to repeat them here but they sounded too good…no sense dreaming too much, too soon. A couple of us have been down that “river’ before. The next day, on the way out, lunch awaited at the cantina: the chicken, rice and potatoes bought previously were served straight from the oven, with river-style lemonade. Our trip had been a modest effort but we had made a good beginning!